I hate ever losing a listing but sometimes we all need to realize that for whatever reason, some listings are just stuck. I have had the BEST clients who were relocated after only being in their new home (the former model home) of one year. The neighborhood was new and is still building out. The home is fantastic, has been priced very well and shows like a gem. But....we have not gotten it sold. We had a contract on it which turned out to be a fraudulent buyer (whole other story here). Anyway, we have just exhausted our efforts. Today it was that day to let the listing go. Yet all is not lost! I called upon another agent from a different firm and asked her is she was interested receiving this referral. There is no time for pride here, it is time for action and to help these folks get their home sold. Perhaps a fresh set of eyes will do the trick. Sometimes we have to step out of the way and do the right thing! 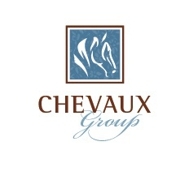 If you are interested in listing or purchasing real estate in The Woodlands area, call Chevaux Group. We will always do our best job for you! We know real estate and are here to assist you! Giving away a listing doesn't have to mean that you have failed. It just means that you care enough to let it go and let someone else get it sold. Together we can all work together to make it happen! PREVIEWING A HOME? EITHER SHOW UP OR CALL TO CANCEL! MY VISIT TO RIO ~ BRAZIL IS THE PLACE TO SEE! WHAT'S HAPPENING IN THE RENTAL MARKET IN THE WOODLANDS, TEXAS? A NEW INVESTOR FOUND ME VIA ActiveRain - WOO HOO! IS THE FRONT OF THE HOUSE ALWAYS THE BEST PICTURE?